Justin Bieber is on the cover of Vogue this month alongside his wife, Hailey Baldwin. The couple sat down for an interview with the publication and Bieber was clearly ready to open up. In the interview he talked about his absence from the music industry, struggling with depression while on tour, and misusing the drug Xanax. Bieber said that after that he became disillusioned with the music industry. “Just thinking about music stresses me out,” he is quoted as saying. “I’ve been successful since I was thirteen, so I didn’t really have a chance to find who I was apart from what I did." 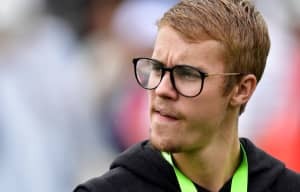 The conversation turned to Bieber's reputation for being trouble maker, with reference to him peeing in a bucket and owning a pet monkey. Speaking about his life at that time, Bieber said that he was struggling with drug use. The whole interview, which goes into depth about Bieber's rehabilitation through the Hillsong megachurch, as well as his relationship with Baldwin, can be read here.